Welcome to the Y! Thanks for visiting with us. We hope that you will find everything that you are looking for here on our website. 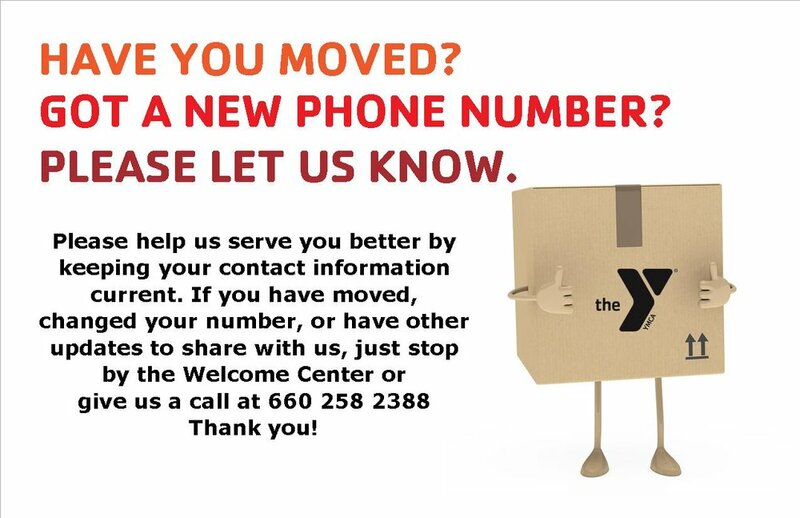 If, however, you have any questions or concerns, please feel free to call our Welcome Center at (660) 258-2388. Because we know that healthy lifestyles are achieved through nurturing mind, body and spirit, well-being and fitness at the Y is so much more than just working out. Beyond fitness facilities, we provide educational programs to promote healthier decisions, and offer a variety of programs that support physical, intellectual and spiritual strength. At the Y, it’s not about the activity you choose as much as it is about the benefits of living healthier on the inside as well as the outside. Connect with us today! The Y is on Facebook and Instagram. FRIDAY is the deadline! Don’t miss out on a fun and busy spring! Register today!